Our sponsorship packages cover two sets of events: our regular monthly meet-ups & exhibitions, as well as the week-long premiere event we curate & organize, Fantastic Arcade. Flexible packages, or packages covering multiple events can be accommodated and arranged by mailing us at juegosrancheros@gmail.com! As a 501(c)(3) non-profit, all sponsorships are tax deductible. 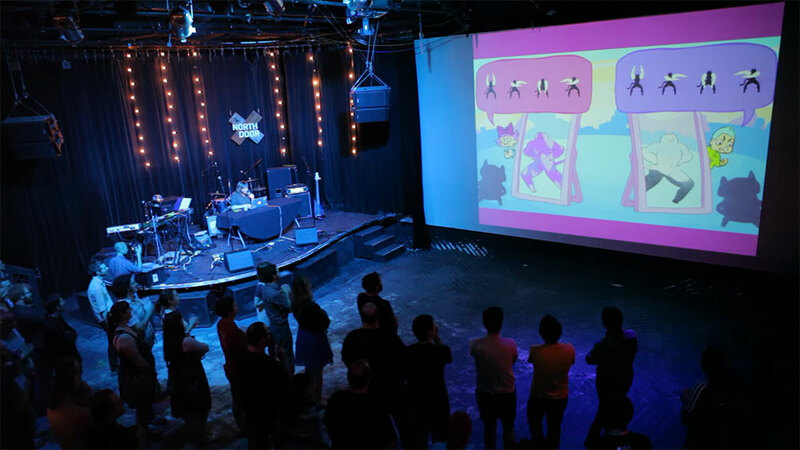 Every month, JUEGOS RANCHEROS brings an audience of 100-200 people to Austin venues, to try amazing & artistic games together and celebrate the community of independent game makers both local and global. You can help us grow these events and our audience by sponsoring at any level. Higher levels will be thanked via announcements with dedicated slides at our events. 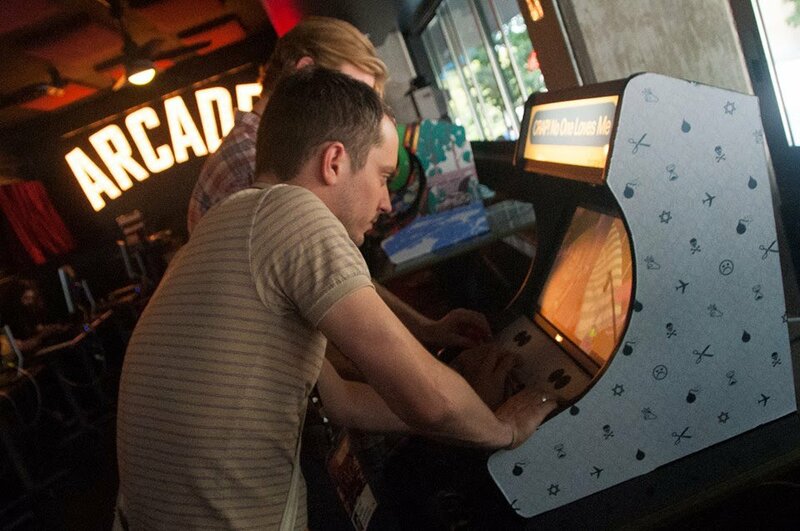 Fantastic Arcade is our premier yearly event, held at the Alamo Drafthouse. In addition to panels, developer commentary & tournaments, each year we build miniature arcade cabinets with original works from developers around the world. Your sponsorship helps us construct these cabinets and bring amazing artists here to Austin to debut their work to an enthusiastic audience. Since 2011, JUEGOS RANCHEROS has hosted and presented a free, monthly event to a growing audience of 100-200 people. Typically, these events include a selection of playable games along with a short presentation introducing the creators and their works. On other occasions, we have screened games-related film and television programming, held extensive interviews with developers both local and global, and have hosted visiting developers, giving them a chance to speak at length in their own words about their creative process and their achievements. 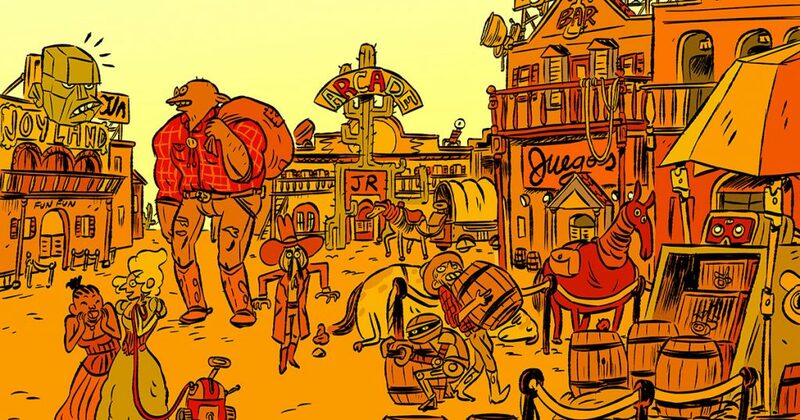 In addition to these monthly events, JUEGOS RANCHEROS has partnered with Austin arts organization Museum of Human Achievement to open the Arcade of Anything. The Arcade of Anything is an independent arcade space where we host quarterly exhibitions of selected games and works by participants in our artist residency program. Your sponsorship at any level helps us to grow these monthly events and broaden our audience, bringing the world of exciting, artistic and beautiful games to Austin’s community of arts lovers of all stripes. In exchange for your tax-deductible sponsorship, JUEGOS RANCHEROS will include your organization’s name, website link and logo on our website, and — at higher levels — announce your patronage along with a dedicated slide to our audience at all of our events. Beginning in 2015, JUEGOS RANCHEROS has curated a lineup of original games from the most exciting up-and-coming game developers from across the globe, and debuted those games on custom-created half-sized cabinets during Fantastic Arcade, the independent game festival we have organized and hosted since 2010. Your tax-deductible sponsorship at the cabinet-only level helps us construct the cabinets and commission participating developers and artists. In exchange, your logo will appear as a cabinet sponsor on the physical unit itself, as well as a splash screen inside the game during its exhibition at Fantastic Arcade. The festival brings in an audience of not just videogame fans, but the movie-going public and curious onlookers — all of whom have open, all-day access to the cabinets. Once the cabinet has left the festival, it makes ongoing appearances throughout the year at various exhibitions, gallery openings & JUEGOS RANCHEROS’s own bespoke arcade at beloved Austin art-space, the Museum of Human Achievement. Because each cabinet is limited to a single sponsor, this is one of our most coveted levels, so contact us quickly if you’re interested in this tax-deductible sponsorship level. 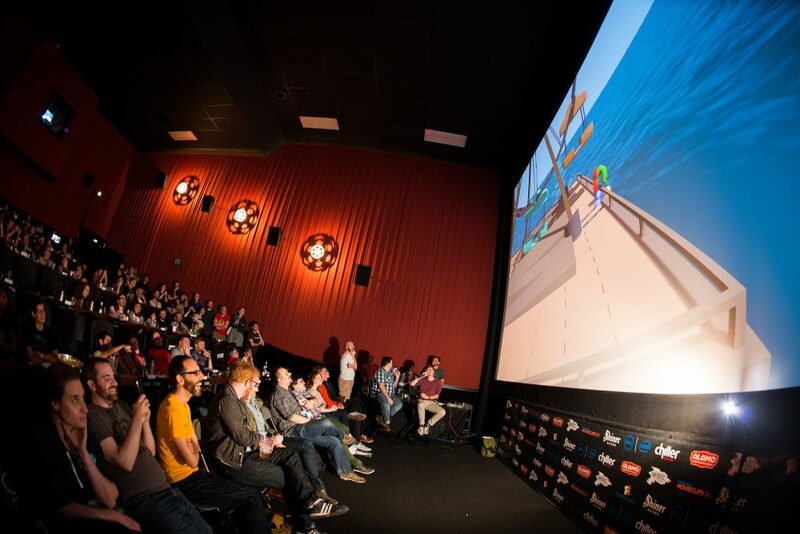 First organized in 2010, Fantastic Arcade was first developed as the independent videogame offshoot of Fantastic Fest, the renowned genre film festival hosted by the Alamo Drafthouse. Now a fully independent production, each year, JUEGOS RANCHEROS curates an array of some 40-50 exciting new videogames for attendees to play, and organizes & hosts days’ worth of panels, developer commentary & tournaments, all of which are free and open to the public to attend. These sessions are also live-streamed across the world on Twitch, and archives later made available on YouTube. In addition to past presenting sponsors like Sony, Microsoft, and Valve, past guests have included the developers of some of the most well-regarded independent games. The teams behind games like Spelunky, Nuclear Throne and Ridiculous Fishing, Fez, Sword & Sworcery EP, Super Time Force, Spelltower, Octodad, Gang Beasts, Hotline Miami and Broken Age are just a few of our past notable guests. Your tax-deductible sponsorship helps us bring in the brightest game creators from around the world to Austin to debut their work for an eager and growing audience of game fans and curious onlookers. In exchange, we will present your logo on all Fantastic Arcade signage, and — at higher levels — give you an introduction before select, high-profile sessions. At the highest Presenting level, we will work with you to host an entire session on the subject of your choosing. If this is your first time hearing of JUEGOS RANCHEROS, a brief introduction: the group was first founded in 2011 as an organization that would keep the spirit of Fantastic Arcade alive in Austin, TX throughout the year. 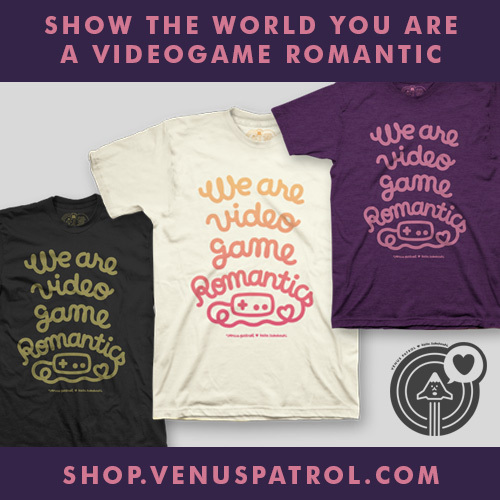 From the very beginning, we wanted to differentiate ourselves from standard business, industry, and networking events, and instead focus primarily on showcasing beautiful and artistic videogames to the general public. Since then, we have hosted well over 50 free monthly events, run a few handfuls of game jams which have resulted in the creation of hundreds of new games, and toured numerous videogames to festivals around the entire state of Texas. 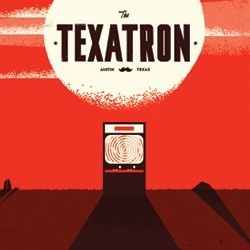 Guests at our events have included Adventure Time creator Pendleton Ward (who co-hosted the world’s first Adventure Time Game Jam with us), LittleBigPlanet creators Media Molecule, Dishonored creators Arkane, and dozens more developers large & small from around the world and right here in Austin. On occasion, we have also held workshops & symposiums for new and aspiring indie developers, as well as co-hosted 2016’s THAT PARTY, the wildly popular event held during the Game Developers Conference. In 2016, JUEGOS RANCHEROS re-organized as a 501(c)(3) non-profit, meaning all donations to and sponsorships of our organization are tax-deductible for you. Since JUEGOS RANCHEROS first began in 2011, we have tried to help grow the audience of independent videogame fans, connect independent developers with an enthusiastic audience, and in general bring to light the best, brightest, and most beautiful games being made both here in Austin and across the globe. We have only been able to continue this mission with the generous support of our patrons and sponsors, and we hope to work with you to further our goals. If you’re interested in sponsoring JUEGOS RANCHEROS at any level, please don’t hesitate to get in touch by email at juegosrancheros@gmail.com. We will be in touch directly to discuss any and all future opportunities or answer questions you might have about any of the above. As a 501(c)(3) non-profit, all of the above sponsorship packages are tax deductible.